Freshly painted 4 bedroom home less than 10 miles from NSB Kings Bay! 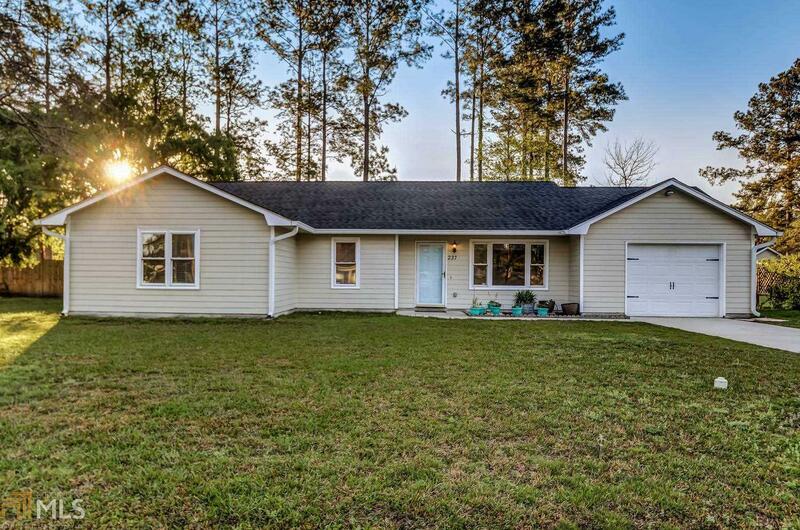 This well built home has updated windows, almost new HVAC, an architectural shingle roof, wood floors in living, hall and dining area, tile in kitchen and baths and like new carpet in all 4 of the bedrooms. The single car garage is oversized with plenty of room to park and store additional items or set up a little workshop. There&apos;s access to the neat and tidy fenced backyard from the sliding doors off the dining room or utility door of the garage. The living room has a large picture window with trendy roller shade, custom fit and vaulted ceiling. All the ceilings have been scraped so no more popcorn! The owner&apos;s bedroom has a private bath with garden tub. Easy to show! Call today! Directions: Hwy 40 To The Meadows. Turn Left On Woodbridge, Right On Old Folkston, Left On Merriwood--follow Around The Sharp Bend, Home Will Be On Right.